Generally, we will get a manual after purchasing a product, which gives you the basic functions, how to use and operate it. At the same time, another form of manual we have is the video tutorial which is becoming more popular. Comparing this with the paper made manual, video tutorial is much more instructive and gives a better and easier to follow guide. Although people know how to use products, it’s not always easy to create a video tutorial if you’re unaware how to use recording and editing software. 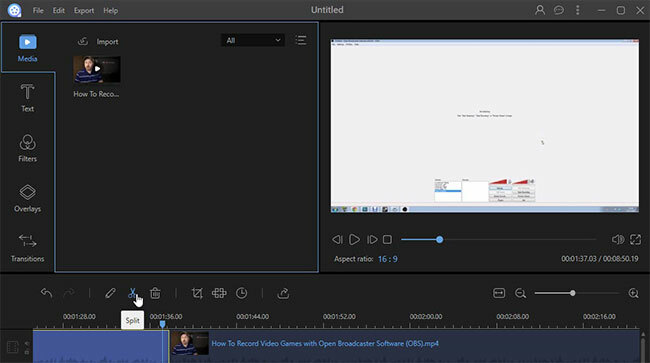 This guide will give you a simple and easy solution to make a video tutorial. A good tutorial video needs to be valuable with clear distinction of the essential information which makes it easy to follow. A big part of this is to cut off meaningless parts and make the important information a dominant part of the video. 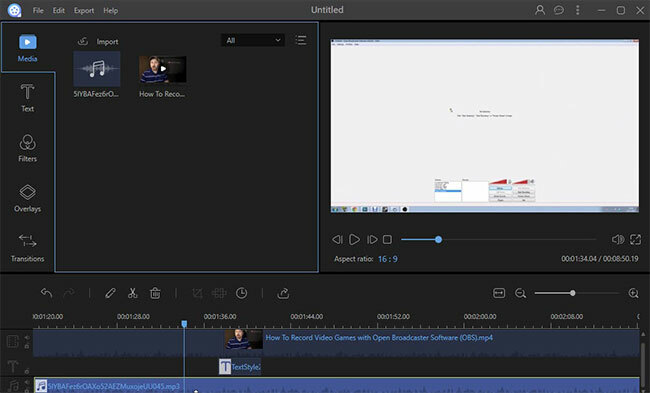 Therefore, the first step in making a tutorial is to trim the video to make it easy to follow. Launch the program and then add tutorial video. Go to the beginning point of the timeline that you wish to delete and then click Split icon. Drag the playhead to the end of the timeline and then click Split icon. Press Delete button to remove the unwanted section. 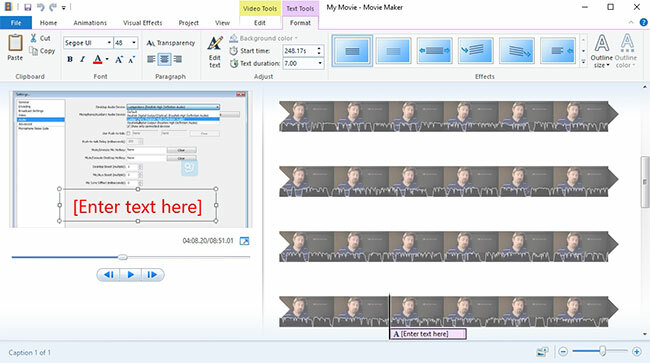 This editing program also comes with the function to help you add text to your tutorial video. 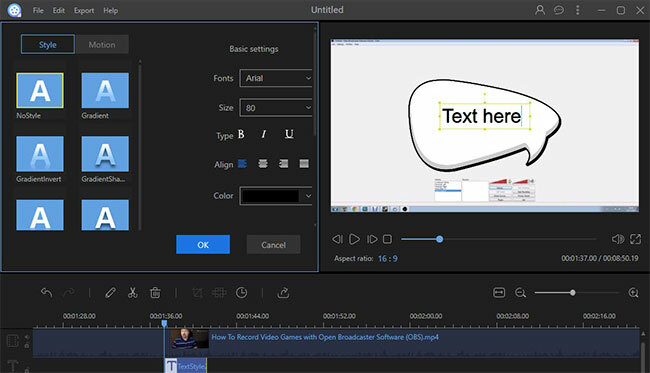 When the tutorial video shows obscure or complex parts, adding text is a useful way to make the video more understandable. Also, it provides various text styles that can make your tutorial video more personalized and unique. Click the tab of “Text” and then drag a style to timeline. Double click the text to customize the font, color, position, duration, size and motion. When you have completed editing your tutorial, you can export the video by clicking “Export” > “Export video”. Next, rename the video file and choose your preferred output format and saving folder. Lastly, click “Export” button to complete the process. It would be much easier for viewers if the tutorial video contained voice annotation. You can record your own voice and then add it to the tutorial. There’s a totally free web-based application called Free Online Audio Recorder that can help you record voice and save the audio file to your computer. Connect microphone device to your computer. Search Apowersoft Free Online Audio Recorder and then press the button of “Start Recording” on webpage. Click the Sound icon and choose “Microphone” option. 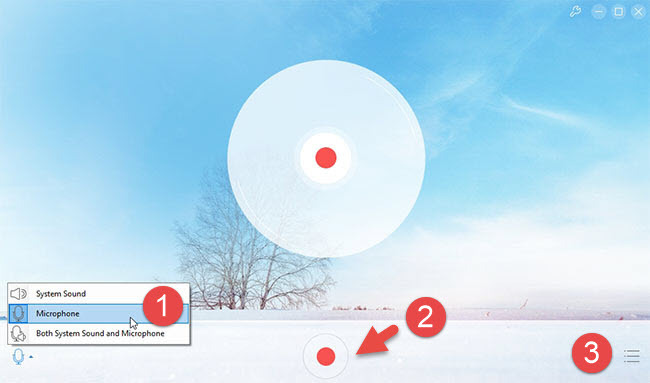 Press Record button to capture your voice annotation. Click Stop button to complete recording. Go to “Recording list” and then click Folder icon to open saving folder. Add the recorded audio file to ApowerEdit. Drag the audio to sound track of the video tutorial. Apart from this tutorial video editor, there’s another simple video editing application also capable of performing this job. Go to the official site of Microsoft and then download Windows Movie Maker. Open the application and then add the tutorial video. Click “Edit” > “Split” buttons to cut the section that you wish to delete. Click “Home” > “Caption” to add text to the tutorial. Drag audio file to merge voice annotation to the tutorial video timeline. Go to “File” > “Save movie” > “Recommended for this project” to finish editing and save tutorial video to your computer. It’s a simple job to edit video tutorials by using the applications suggested above. Windows Movie Maker is convenient and easy to use allowing users to benefit from the simple interface design. Whereas, ApoweEdit would be more helpful for those people who need more advanced functions and stylish editing options.